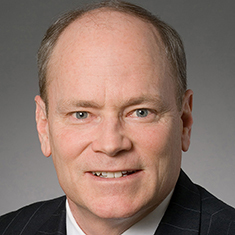 Craig M. Scully has more than 30 years of experience as a public finance lawyer. He provides counsel in a wide array of tax-exempt and taxable financing transactions as bond counsel for state and local governments and authorities throughout the country. Craig’s public finance experience extends to virtually all areas of tax-exempt and taxable public finance transactions, including federal and state grant anticipation bonds; general obligation and revenue financings; energy savings contract financings; private placement and direct purchase transactions; multifamily housing; higher education, including university financing; airport, highway and harbor financings; tax-supported debt; health care financings; and municipal case transactions. Additionally, he has handled financing for distressed facilities including hospitals; pool financings for general public services; transportation, including highways, roads and mass transportation; public utilities; energy; education; single- and multi-facility housing; college student and education savings bonds; convention centers; public-private projects; and nonprofit corporation financings. Craig is also experienced in financing and contractual negotiations for a variety of state and local governments and authorities in the initial planning process of debt issuance, interfacing with financial advisors and underwriters and structuring the offering. Shown below is a selection of Craig’s engagements.